Do not let your favorite blades hide away in a closet or stay propped in a corner of your home. 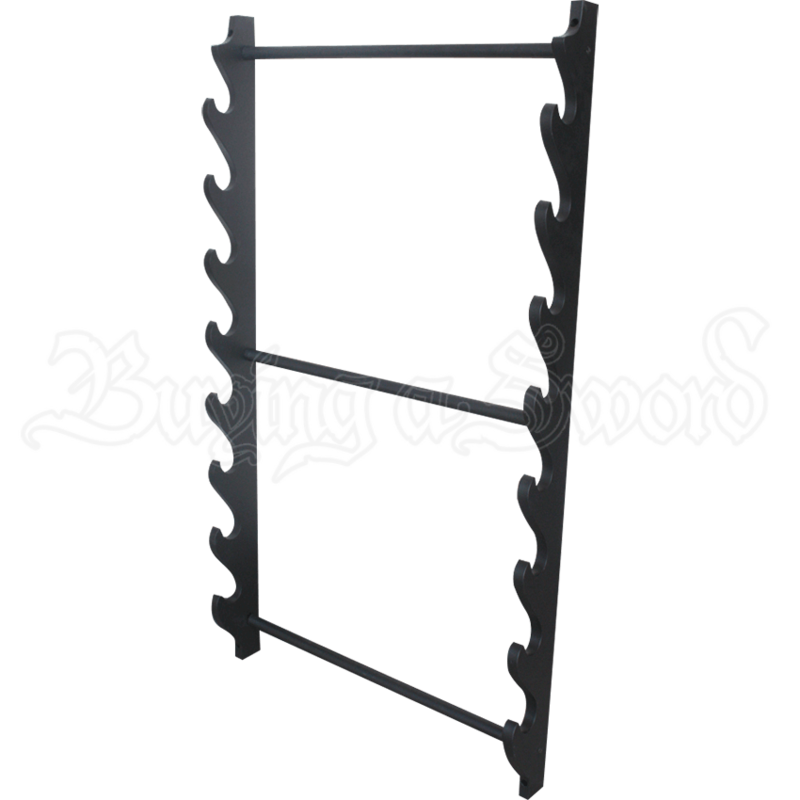 The Black 8 Piece Sword Stand makes the perfect solution for sword collectors who want to show off their growing collections. 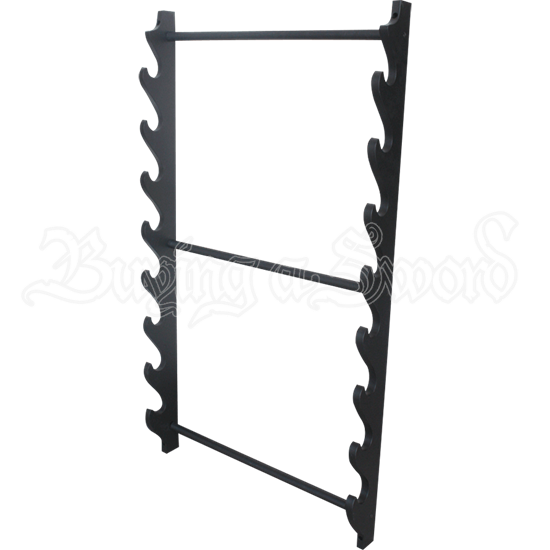 This sword stand has a minimalist design and a clean black finish in order to better focus attention on your weapons. This tiered sword stand can hold up to eight swords along its vertical design, making it a practical option for weapons enthusiasts with multiple blades they want to put on display. The weapon stand also works well for pairs of katana and wakizashi to be shown off together.